McCann Worldgroup has appointed David Kisilevsky, the outgoing Burger King vice-president of marketing for EMEA, to the new role of sub-regional director, Central Eastern Europe. Based in London, Kisilevsky will be responsible for the general management of McCann Erickson regional offices in Eastern Europe. He starts his new role at the end of August and reports to Brett Gosper, the chief executive of McCann Worldgroup EMEA. 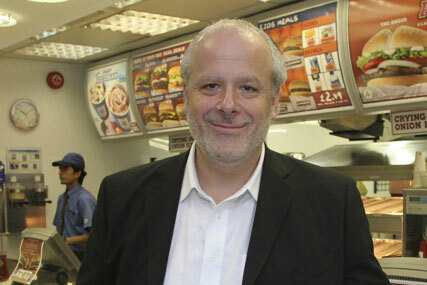 Kisilevsky held various roles at Burger King since joining in 2006 and previously headed the McDonald's account at Leo Burnett for 19 years. McDonald's is a McCann client in many international markets. Gosper said: "David brings a deep knowledge of the EMEA market, having worked for global blue-chip brands in the region, and his experience and his leadership track record will be a positive influence on a significant growth region of our European business."